The purpose of this research was to develop the Caring School Leadership Questionnaire (CSLQ) as a valid and reliable instrument to measure the extent of care being given by school leaders (principals) to teachers. The research involved 1,041 teachers and 65 principals from 68 primary schools in the North-West Province of South Africa. The construct validity of the CSLQ was determined by means of a confirmatory factor analysis. The three main constructs regarding caring that emerged from the factor analysis proved to be the same as those theoretically identified as the three main determinants of care. Cronbach's Alpha coefficients furthermore proved the CSLQ to be reliable. The key finding flowing from the investigation was that the CSLQ may be applied with good effect in 180°-, 360°-, as well as self-evaluations of school leaders. Keywords: caring, caring school leadership, determinants of care, management, measuring instrument for caring school leadership, measuring care in leadership. Effective teaching and learning are directly influenced by factors in the classroom (Reynolds, 2000). There are, however, also factors situated outside the classroom that indirectly or even directly influence effective teaching and learning. These factors influence the educator's experience of quality of working life and play a role in the educator's motivation and creation of a positive working climate (Glover & Law, 2004). One of these factors is the management/leadership style of the school leader. Pellicer (2003) indicates that school leadership should also be characterised by high levels of caring about and caring for teachers. Day (2004) agrees with Pellicer (2003) and states: "Teachers and students alike work better when they are cared about". Empowerment of teachers by the school leader contributes to motivation and work satisfaction (Dee, Henkin & Duemer, 2003). There is a clear relation between care and task performance or effectiveness. Beck (1994) indicated that a lack of care in schools contributes to declining levels of effectiveness in the organisation, as well as to a lack of commitment. The school leader thus has a duty to care for and to care about teachers and has to see to it that teachers experience higher levels of job satisfaction and decreased levels of stress and concomitant teacher burnout. The caring of the school leader towards teachers would increase effectiveness and task performance in the teaching and learning situation, which in turn would increase the effectiveness of the school as an organisation (Kroth & Keeler, 2009). If the levels of caring experienced by teachers could be determined and measured, this possibility could be brought to the attention of school leaders and specific strategies and interventions could be put in place to help school leaders in determining and measuring their personal degree of caring for teachers under their supervision. 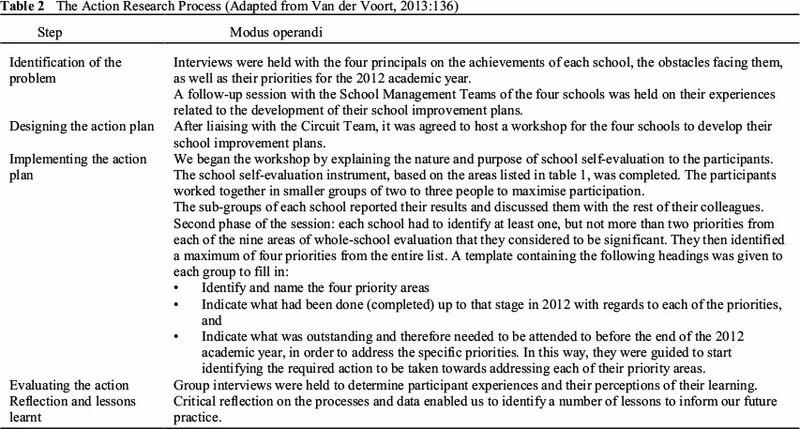 However, at the time when this study was done, there was no validated instrument available in the field of educational management, administration and leadership (nationally and internationally) that could be used to measure the extent of care experienced by teachers from their school leader, that is (i.e.) their principal. This research attempted to fill this lacuna. At the time of this study, research concerning the caring role of the school leader only focused on caring about and caring for learners (Kruger, 2003; Ellerbrock & Kiefer, 2010). An electronic database search (EBSCOhost; Sabinet; ERIC) revealed an absence of research in South Africa and elsewhere in the world on the caring role of the school leader with regard to the educator. The reason for this absence in research could possibly be related to the fact that no clear guidelines had been laid down for school leaders on how to optimise their caring for, or about, teachers and that the nature and praxis of the school leader's caring role had also not yet been sufficiently described. The fact that very little to no literature in education management, administration and leadership was available on the execution of the educational leader's caring role with regard to teachers was a problem in itself. If the caring role was explicitly described in literature it would be possible to measure the caring abilities of school leaders against this. The question therefore arose as to whether school leaders optimally execute their caring role with regard to teachers. In order to answer this question, the extent of care experienced by teachers from their educational leaders had to be determined, and to do this, an instrument to measure the caring was needed. Hence the main aim of the research was to develop a valid and reliable questionnaire that could be used to measure the extent of care being experienced by teachers from their educational leader. This aim was broken down into two sub-aims, namely first, to theoretically identify the determinants of care on which the measuring instrument could be built, and second, to validate the instrument. This research was conducted within the post-positivistic paradigm, in which the researcher acknowledges that the relationship between variables can be influenced by certain factors over which the researcher may have no control (Onwuegbuzie, Johnson & Collins, 2009; Wiersma & Jurs, 2009). As a post-positivistic researcher, the researcher is aware that reality does not exist in a vacuum but is dependent on and influenced by contextual and situational factors (Onwuegbuzie et al., 2009). The researcher further acknowledges that objective reality cannot be known in its totality but only partially in a non-perfect manner (Gall, Gall & Borg, 2007). A researcher working from a post-positivistic perspective nevertheless assumes that caring and levels of care can be measured and quantified. This assumption is reflected in the aims of the research, as outlined above. Taking into account all the different definitions given in literature, caring can be defined as the real interest taken by the educational leader in the well-being of the educator, and which manifests in sympathy, empathy and a commitment to the educator. This interest further includes the provision in needs, namely physical, personal, social, emotional, self-actualising and professional needs of the educator (Van der Vyver, 2011). The caring role of the principal can be explicated in terms of human capital theory. Human capital is the value of people within the organization (Van Loo & Rocco, 2004). To care for and about people within the organization implies that management and leadership value these people. If the people are valued by leadership, the leader will be concerned about their well-being. Care is thus directed at the person and the well-being of the human being itself. An instrument to measure the levels of care shown by an education leader should be aimed at determining to what extent people are indeed valued by management and leadership. According to human capital theory, caring leadership also closely relates to the notion of servant leadership. Servant leadership has a dual purpose, namely the personal growth of workers and the improvement in the quality of care in organisations. This dual demand can be met by a combination of teamwork and community, personal involvement in decision making and ethical and caring behaviour (April, Macdonald & Vriesendorp, 2000). Servant leadership is furthermore characterised by a leader that assumes the position of a servant in his/her relationship with his or her fellow workers (McCrim-mon, 2010). De Pree (2003) is of the view that to be a leader, he or she should be a servant of their staff in the sense that they should care and support their staff. Service leadership theory differs from other leadership theories in that it holds that through caring by the servant leader, the needs of the followers can be addressed. Crippen (2005) is rightly of the opinion that servant leadership is not about controlling people, but caring for and about people through leadership. Before constructing an instrument for measuring the level of care experienced by teachers from their leaders it was necessary to identify the facors or determinants that play a role in caring leadership. For this purpose, different forms of literature were used, amongst others literature on education management and leadership, caring models and instruments related to caring and service leadership. The following main determinants of principals' care crystallized from the theoretical study, namely psychological, organizational/workplace and management determinants (Van der Vyver, 2011). Emotional intelligence is the first psychological determinant; it is connected to effective leadership. Effective leadership shows that the emotionally intelligent school leader has the ability to show empathy, be optimistic, build morale and motivate (Greval & Salovey, 2005; Magyar, Guivernau, Gano-Overway, Newton, Kim, Watson & Fry, 2007; Harms & Credé, 2010). These abilities (to show empathy, be optimistic, be able to build morale) are directly associated with care. Emotional intelligence is therefore seen as a key element of caring. Scott, Aiken, Mechanic and Moravcsik (1995) identify sympathy as another aspect of care in which spiritual compassion with others is displayed. Empathy is a characteristic of care because the well-being of others is taken into account (Department of Education, 2008a). Marshall, Patterson, Rogers and Steele (1996) mention that caring school leaders are people that are more concerned about the well-being of others than about their own status, power or money. This concern about the well-being of others also takes into account the individual circumstances of the other person. To care for teachers and to see to their well-being, the school leader should be interested in and know what is happening in the life of the educator (Iszatt-White, 2009). The caring educational leader will show compassion in his/her interaction with teachers. Richards (2002), in turn, remarks on the importance of being interested in the personal life of the educator by the caring educational leader. Personal interest in the educator is strengthened by knowing what is happening in his or her personal life. Providing in the emotional needs of others is related to the concept of caring, which can be defined as the identification of others' needs and the reactions there upon (Marshall et al., 1996:280). According to Maslow's motivational theory and hierarchy of needs, the higher order needs play the most important roles in the motivation of a professional worker. These higher order needs include socialising, appreciation, fulfilment of ideals and self-realisation (Van der Westhuizen, 2005; Department of Education, 2008b). The educational leader should understand the importance of these higher order needs and the role they play in the motivation of the teachers under their supervision; providing in such needs forms an integral part of the caring role of the school leader. Some authors (Templeton, 1997; Department of Education, 2008a) also view respect as part of the equipment of a caring leader. Workplace-/Organisational determinants According to the South African Bill of Rights (act 108 of 1996, section ), each person has the right to work in an environment that is not hazardous to his/her health and well-being (Prinsloo, 2005; Department of Education, 2008c). Beck (1994) indicates that the caring interaction enhances a person's feeling of safety and security. The caring school leader should ensure this caring and safe working environment. Physical infrastructure forms an integral part of the educator's working environment. Teacher morale and the condition of the buildings and terrain where he or she works are related to one another. The quality of the infrastructure also influences safety, health and teacher efficacy as well as their experience of working life (Buckley, Schneider & Shang, 2004). When teachers work in well-maintained facilities they experience a positive working climate and a caring attitude on the part of leadership, because their well-being is considered (Kruger, 2005). The feeling of job security enhances the experience of a good quality working life which in turn creates a feeling of care (Kroth & Keeler, 2009). Caring school leaders also would not make themselves guilty of negative behaviour such as victimisation, bullying, harassment, intimidation and discrimination. Some of the consequences of such negative behaviour include negative self-concept, stress, depression, sleeplessness, feelings of guilt and low self-esteem (Blase & Blase, 2002). On the contrary, a positive school climate has a positive influence on educational outcomes for learners and teachers. One of the climate factors that lead to a positive working environment is the experience of caring (Marshall, 2004). Providing necessary resources is seen by Kahn (1993) as one of the aspects that contributes to a commitment of members of the organisation to their work. Workers experience care when they are supplied with the necessary resources to do their work. Trust is one of the characteristics of communities of care (Sigford, 2006). There should be mutual trust between the educator and education leader (Kroth & Keeler, 2009). Empowerment closely relates to trust. Templeton (1997) explicitly indicates how closely empowerment is intertwined with caring for and caring about. She regards the empowerment of others as a characteristic of a caring and effective leader. Acknowledgement goes hand in hand with empowerment and Blase and Blase (2002) view acknowledgement as a form of empowerment. Beck (1994) stresses that acknowledgement and reward are both caring strategies to give teachers credit for success and good work, as well as sharing the responsibility for failure. Basic human rights are embedded in care. People have the right to care and to be cared for. Acknowledging human rights is the starting point of caring (Gould, 2004). The educational leader should acknowledge and protect the basic human rights of the educator. Fairness includes equal rights and equal consideration of the interests of all individuals and is not related to any feeling for specific individuals. Fairness establishes a feeling of caring among individuals (Kroth & Keeler, 2009). Another one of the most important characteristics of an effective leader is non-judgemental, active listening (Burgess, 2001). The caring leader should be focussed on being an understanding listener (Beck 1994; Kroth & Keeler, 2009). Portin (1998) stresses the fact that the educational leader should be able to move from an elevated position of authority to a position of subservience for the school community. According to Dennis and Bocarnea (2005), a leader is responsible for those he/she serves. To be a servant, the educational leader has to act responsibly and accept responsibility for those in his/her care. A person isolating him/herself cannot care for others. If the educational leader adapts the role of caregiver he/she should be available to the teachers. Cassidy and Bates (2005) identify accessibility as a means of caring by the educational leader. Leadership efficacy refers to the trust in one's own ability to lead and educate others (Magyar et al., 2007). The importance of leadership efficacy with regard to caring is the effective leader's ability to persist with the mission and vision of the organisation, regardless of difficulties experienced. Consistency in leadership means that subordinates are treated equally and the conduct of the leader is consistent. Building relationships are important for caring, as caring can manifest within relationships, Marshall et al. (1996) indicate that relationships in organisations are strengthened through the consistency of the leader. A school can be managed in two ways, according to Starratt (1996), namely through control or commitment. Management through commitment is more effective. To Ser-giovanni (2000) caring is a cornerstone of commitment. The caring role of the education leader implicates a re-definition of the leadership role (Sernak, 1993) which boils down to shared leadership (Department ofEducation, 2008b). Shared leadership implicates that teachers should be included in decision making; if this happens teachers experience higher levels of work satisfaction (Addi-Raccah, 2009). Caring education leaders provide consistent support to teachers (Templeton, 1997; Sigford, 2006). This support includes support in the form of resources as well as personal support. One of the ways of empowering and developing teachers is personnel development. The caring educational leader will support all manners of professional development of teachers (Department of Education, 2008a). All of the above-mentioned determinants were incorporated in constructing the CSLQ. In some cases, more than one item in the questionnaire referred to a specific determinant. The aim of the research was to develop a valid and reliable questionnaire to measure the extent of care teachers experience from their educational leaders. The CSLQ was developed, based on the theoretical determinants of caring leadership which emerged from the literature study. Each one of the determinants (see Table 1) is represented by one or more items in the CSLQ. In certain cases the same items address different determinants in the table. Therefore, the same item numbers may appear next to different determinants. The CSLQ contained structured Likert-type items with four response options ranging from "not at all" to "to a large extent". According to Maree and Pietersen (2007), it is preferable that an adult respondent should not take longer than 20 minutes to complete a questionnaire and that it should therefore not contain more than 100 items. The CSLQ contained 59 items and took approximately 10 minutes to complete. In Table 2 examples are given of the different items. The study population consisted of school principals and teachers of primary schools in the North West Province of South Africa. There are four educational regions in the province, with a total of 1,377 primary schools. A systematic cluster sample of schools was drawn: 83 schools of which 72 responded, giving a response rate of 87%. The number of teachers filling in the questionnaire was 1,041 and the number of school principals 65, bringing the total number of questionnaires to 1 106. Permission to conduct this research was granted by the North West Department of Basic education. The research was also approved by the Ethics Committee of the university under whose auspices it was done. A cover letter accompanied the questionnaire in which the aims of the research were explained to the respondents. Anonymity of respondents and schools was assured. Respondents were under no obligation to fill in the questionnaire and could withdraw from the project at any time. All the respondents agreed to participate. Content validity refers to the content and the format of the instrument (Fraenkel & Wallen, 2008), which was ensured by building the contents of the CSLQ on the theoretical determinants of care which emerged from the theoretical/literature study. In order to further enhance content validity, the draft questionnaire was also given to a number of subject specialists in education leadership for comments. Their comments and suggestions were taken into account when drafting the final version of the CSLQ. During a pilot study the respondents were also afforded an opportunity to comment on the content, structure and language used in the draft instrument and their comments and suggestions were also taken up in the final version of the CSLQ. Face validity is the extent to which the instrument looks valid (Pietersen & Maree, 2007). Face validity was also ensured by giving the draft instrument to experts for criticism. The instrument was language edited by a professional. Also in the pilot study attention was given to face validity because respondents could give feedback on the meaningfulness of items, language and format of the draft questionnaire. Construct validity shows the extent to which constructs addressed by the instrument is measured by different relational items (Pietersen & Maree, 2007). A factor analysis was done to determine the construct validity of the CSLQ. Cronbach's Alpha-coefficients were calculated to determine the internal consistency of the items in the CSLQ (Pietersen & Maree, 2007; Fraenkel & Wallen, 2008). A pilot study was conducted with 96 respondents that had not been included in the study population. During the pilot study respondents were requested to fill in the draft questionnaire and to critically comment on it. Thereafter an analysis of item responses was conducted and where necessary adaptations were made in terms of item inclusion/omission and formulation. Once the CSLQ had been finally adapted it was reproduced and put in envelopes for distribution to the schools. A cover letter accompanied each batch of questionnaires to a specific school, giving information on the aims of the research and covering ethical issues. All the questionnaires were delivered by hand and collected by hand again after a week. A confirmatory factor analysis was conducted to determine the construct validity of the CSLQ. According to Pietersen and Maree (2007), the aim of a factor analysis is to determine which items in an instrument belong together on the grounds that they were answered in a similar way and therefore measure the same factor. Factors were extracted according to Kaiser's criterion, which determines that factors with "eigen values" greater than 1 were withdrawn/extracted. The communalities, which indicate the percentages of each item's variance, were also determined. Hair, Anderson, Tatham and Black (1998) stress that commu- nalities should be greater than 0.3 which means more than 30% of the variance of each item is retained. The Kaizer-Meyer-Olkin (KMO) measure, which determines whether enough data are available for factor analysis, was also determined. Cronbach's Alpha coefficient was calculated to determine the internal consistency reliability of the CSLQ (Pietersen & Maree, 2007; Fraenkel & Wallen, 2008). In Table 3 the KMO measure as well as Bartlett's test of sphericity and the determinant of the correlation matrix are indicated. Principal axis factor analysis with oblimin rotation was performed, as it was expected that the factors would correlate with each other (Table 5). The KMO measure was 0.99 which means that enough data were available for a factor analysis. According to various authors (Hutcheson & Sofroniou, 1999; Field, 2009), KMO values above 0.9 are excellent. Bartlett's test of sphericity indicated a p value smaller than 0.001 which means that there was an adequate correlation between the items. Three factors were extracted according to Kaiser's criterion (Field, 2009) explaining 67.4% of the variation in the data. This criterion ensures that factors with "eigen values" greater than 1 are extracted. Information regarding the factor analysis that was conducted is represented in Table 4. In Table 4 the pattern matrix displays the three extracted factors, are also important. All of the items in The CSLQ loaded satisfactorily under these three factors. Only a few items had double loadings and this will be dealt with in the Discussion. The correlation coefficients in Table 5, ranged from 0.588 to 0.848. Correlation coefficients above 0.5 are regarded as high, therefore it can be accepted that a high correlation existed between the determinants (factors). This also supports the reason why a principal axis factor analysis with oblimin rotation was performed. Information is given in Table 6 regarding the calculation of Cronbach's Alpha values and average inter-item correlations. As indicated earlier in the paper 67% of the variance was explained by the three extracted factors. Communalities, which is the percentage of each item's variance that is explained by the the three extracted factors, are also important. Hair et al. (1998) indicate that all the communalities should be above 0.3. This means that more than 30% of the variance of each item should be retained. All the items in the instrument's communalities were above 0.3, the lowest being 0.37 and the highest being 0.767. It can be concluded that the extracted factors have explained a sufficient amount of variation in the items. The pattern matrix after rotation represented in Table 4 shows the factor loadings for the extracted factors on each item. The factor loadings indicate the correlation between the items in the pattern matrix, all factors loading under 0.3 were suppressed to simplify the interpretation of the pattern matrix. In some instances there is a double loading on a specific item; in such cases it is necessary to interpret the item theoretically and place it under the factor or determinant where it best fits. There was a clear resemblance between the three factors and the three main determinants identified from the literature study. Three factors dan clearly be identified in the pattern mix in Table 4. These three factors resemble to a very large extent with the determinants of caring leadership that had been identified in the theoretical part of the study according to which the CSLQ was constructed. Items 1-25 of the CSLQ addressed the psychological determinants of caring leadership. Items 26-39 mainly addressed the organisational-Workplace determinants of caring leadership and items 40-59 addressed the management determinants of caring leadership. Items 33, 34 and 35 loaded on two factors, namely workplace-/organisational determinants as well as management determinants. A decision was made to place these items under the determinant where the highest factor loading were obtained. Therefore Items 33 and 35 were placed under the management determinant, whereas item 34 was placed under the organisational determinant. The construct validity of the theoretical constructs (determinants of caring leadership) was thus confirmed by the factor analysis. The pattern matrix supported the classification of determinants of caring leadership, namely psychological, organisational and management determinants. In Table 6 the reliability of the CSLQ is indicated according to the three main determinants of caring leadership. Cronbach-Alpha coefficients were calculated and an instrument can be accepted as reliable when the Cronbach-Alpha coefficient is above 0.7 (SAS Manual, 2005). Table 6 shows that the calculated Cronbach's Alpha values for all three determinants were above 0.9. From this it can be deduced that the CSLQ displays a high level of reliability. Norms were developed for the purposes of interpreting raw score totals on the different determinants of caring leadership. These norms were developed by dividing the participants' raw score totals into quartiles. As reflected in Table 7, raw score totals below the first quartile are described as indicative of low care, between the first and second quartile as indicative of average care and between the second and third quartile as indicative of above average care, whilst raw score totals above the third quartile can be regarded as indicative of high care. Thus, when a teacher reported raw score totals of 70, 40 and 90 on the Psychological, Workplace and Management determinants of care, respectively, and the norms in Table 7 are consulted, it will be interpreted that the teacher experiences low psychological care, high workplace care and above average management care from the educational leader in the particular school. It is recommended that the CSLQ developed and validated in this study should be used by leaders in educational organisations and even be adapted for leaders in corporate organisations to determine the extent of caring leadership experienced by teachers/workers within the organisation. The results of such surveys could be used in developing management strategies for optimising caring leadership in schools or other corporate organisations. The CSLQ can also be used in the evaluation of leaders/managers with regard to their leadership style; it could be used for 180° and 360° evaluations. Leaders, managers and administrators can also use this instrument for self-evaluation purposes. The results of such self-evaluations could be useful in identifying professional development areas which can foster caring leadership. In order to enhance the national and international application potential of the CSLQ, further research aiming at the development of national and international norms is recommended as well. The human capital theory emphasises the value of people within organisations. To show appreciation and build on this valuable asset in educational organisations it becomes a global imperative for school leaders to display and model a caring leadership. This research indicated that a social construct such as caring leadership can be quantified and measured. A valid and reliable measuring instrument such as the CSLQ will enable educational leaders to measure and become more aware of the extent of their own caring leadership and the effect it may have on their staff members.